Uluwatu is a stunning destination in south Bali, known for its clifftop views and being home to some of Bali’s best beaches. In Uluwatu, you have a unique combination of laid-back surfing vibes and some of the best luxury hotels and resorts in Bali. Uluwatu still has an untouched feel about it, despite being a popular destination in Bali, you still feel like you have your own space and it’s a little more relaxed. 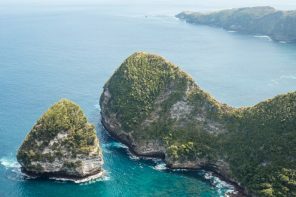 Whether you decide to stay in Uluwatu or visit for the day, here are some of the best things to do in Uluwatu Bali. Uluwatu temple is set on the edge of cliffs, overlooking the vibrant blue water crushing against the rocks below. You can follow the clifftop path to explore a little further. This area is full of cheeky monkeys, so don’t wear any jewellery or accessories, otherwise, they are fair game for the monkeys. We had our driver with us who helped keep the monkeys at bay, but we saw so many people lose their earrings, sunglasses, thongs (flip-flops) with monkeys running off over the edge of cliffs with them. But go prepared and you will be fine. 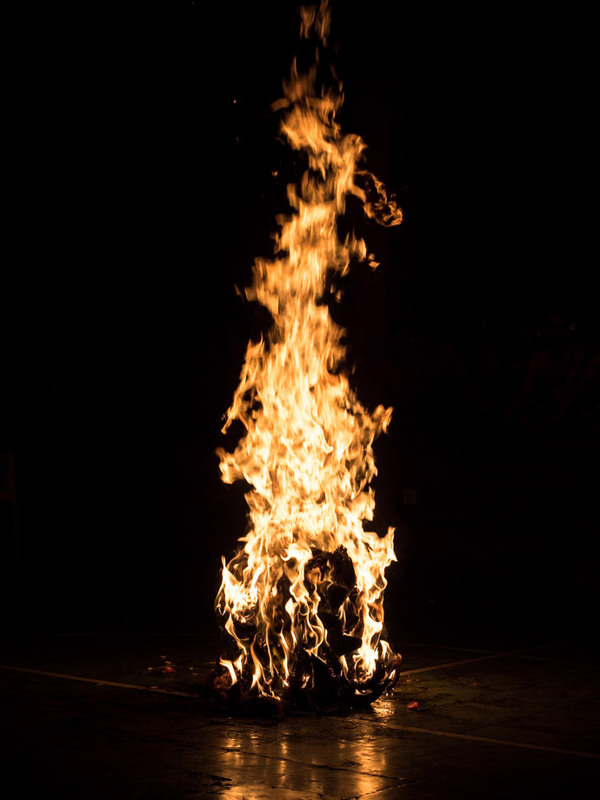 The views from here are stunning, and if you go around sunset, you can watch the Kecak fire dance here too. 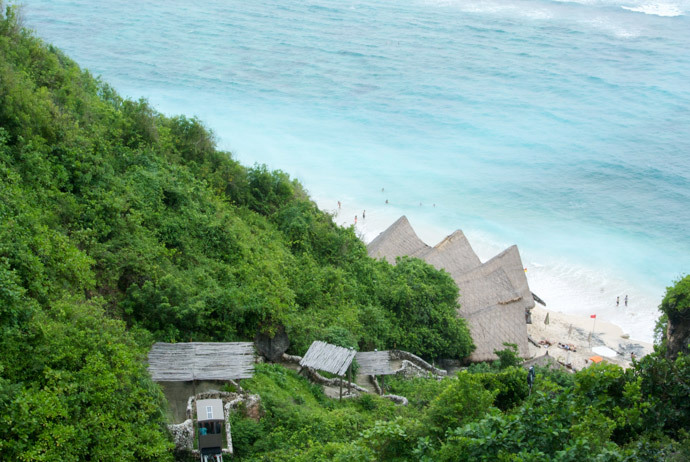 Sundays Beach Club is a beautiful beach club that is part of Ungasan Clifftop Resort. 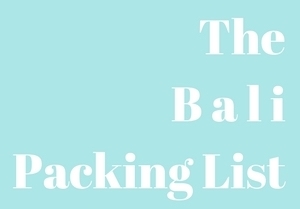 You will pay an entry fee however this can also be used as credit at their restaurant. An inclinator will take you down to the restaurant and beach. Here you can eat, swim, use their watersports equipment like paddleboards and kayaks, or just relax. It’s a beautiful beach, but it’s better to check the tides and make sure to be there for high tide when the beach is best for swimming and at it’s prettiest. Ulu Cliffhouse is a new space perched on the edge of a cliff with stunning views. Here they have a bar, restaurant, day beds and a pool. There is a minimum spend for the day beds, but otherwise, it is free entry, unless there is an event on. The food here is delicious and there’s nothing better than having those stunning ocean views whilst you eat. 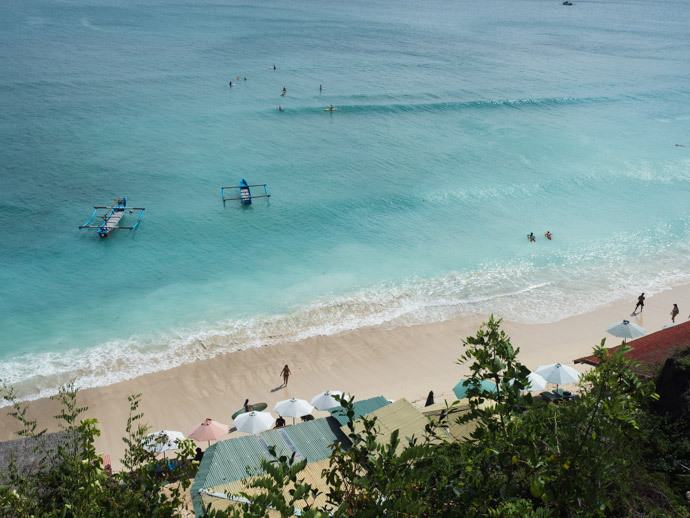 Uluwatu is home to the most beautiful beaches in Bali. Famous for surfing, not all of them are great for swimming, but they are all beautiful. 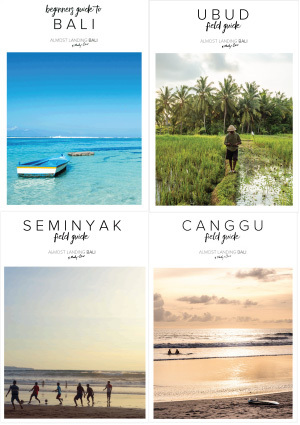 Some of our favourites include Bingin Beach, Padang Padang and Thomas Beach. Spending time at the beach is one of the best things to do in Uluwatu Bali. 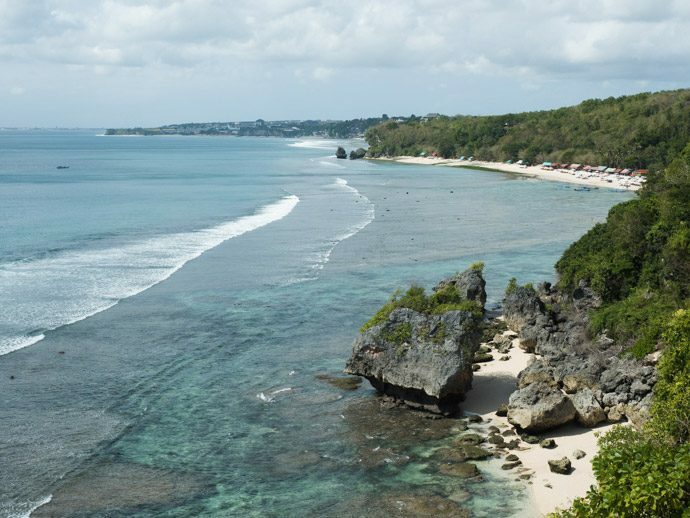 Read More: Where Are The Best Bali Beaches? 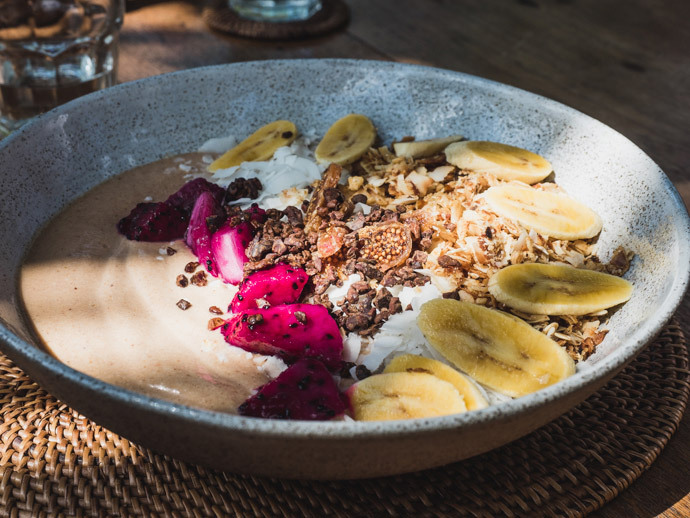 Uluwatu is home to some delicious cafes that are the perfect way to start the day. Two of our favourites include Suka Espresso and Drifter. 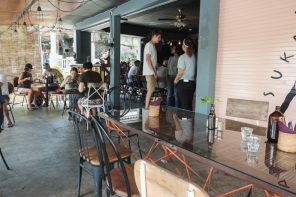 A popular spot to relax, eat, drink and watch the sunset, Single Fin is right above Saluban Beach. If you sit upstairs you can watch the waves roll in and the surfing. Some evenings here are relaxing and some evenings there is more of a party vibe. One of the best things to do in Uluwatu at night. 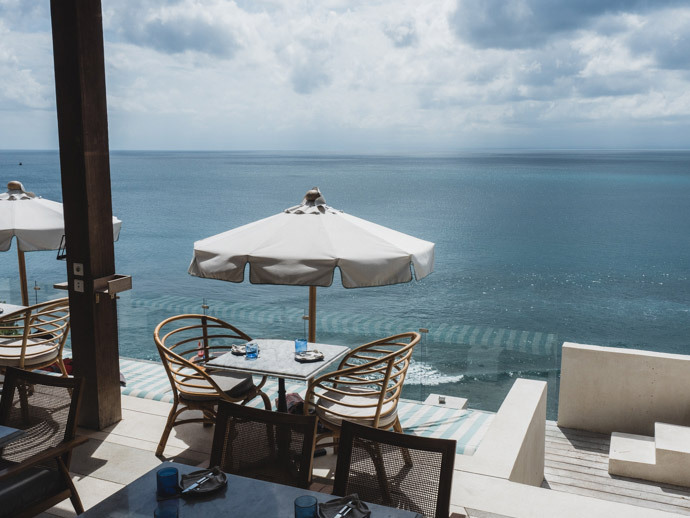 Although there are plenty of accommodation options in Uluwatu that offer great value for money, Uluwatu is also home to some of the most stunning luxury hotels in Bali. Some are perched on the edge of a cliff, some have beach access, and the grounds and rooms are so amazing it makes it hard to leave. 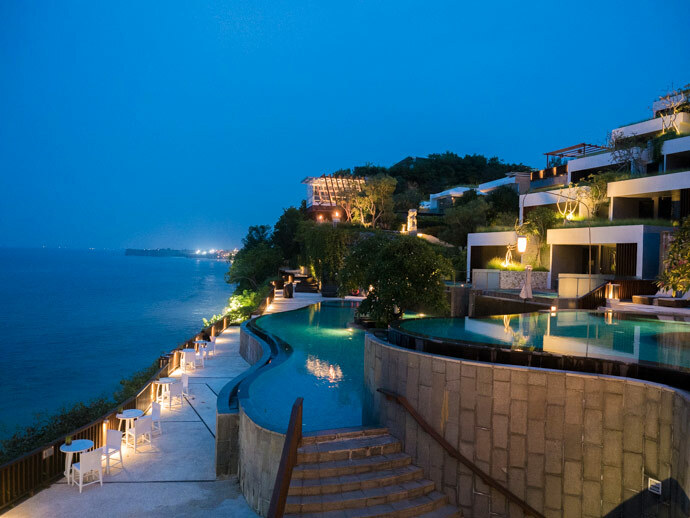 See our where to stay in Uluwatu article for our top picks of luxury hotels in Uluwatu. 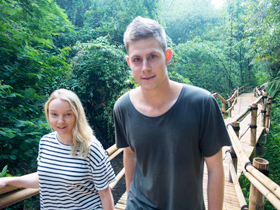 Omnia is a new day club in Uluwatu, that hosts some big names in music. They have a pool, bar and restaurant. Uluwatu is one of the most spread out areas of Bali. If you choose to stay here, you will need some way to get around. For some that is a scooter, but if you’re not comfortable with that there are ways around it. 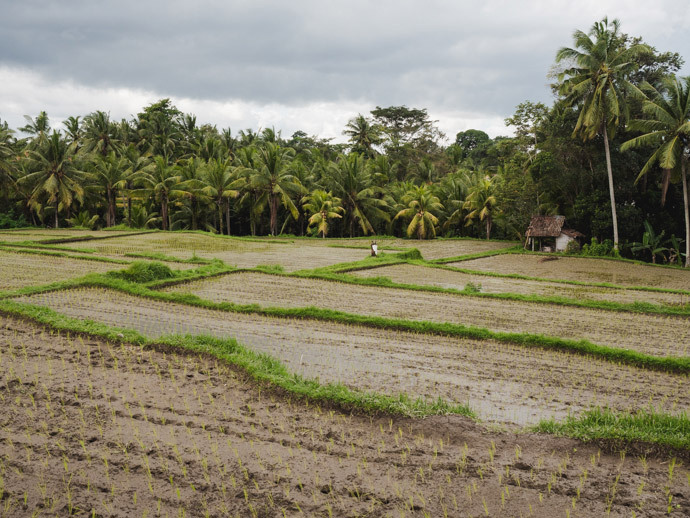 You can hire a private driver for the day, you can see if restaurants offer free pick up, you can use the private transport system (there are no taxi’s or uber allowed in Uluwatu), and you can stay somewhere central so you can walk to a lot of places (we like Jalan Labuan Sait for that). There is so much to explore in Uluwatu, from the beaches to the clifftop lookouts, to places to eat and places for sunset. 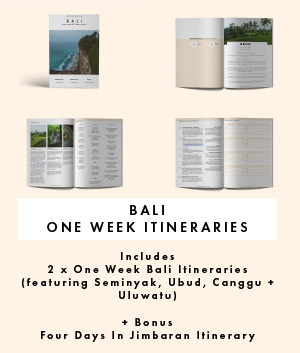 So not technically in Uluwatu, Jimbaran is just next door, making this a perfect addition to your trip. 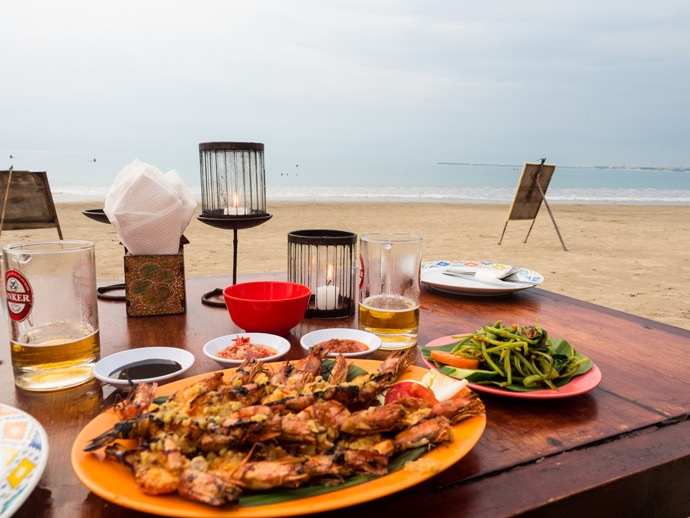 It might sound fancy, but dinner on the beach in Jimbaran Bay is fairly laidback, with your feet in the sand and a delicious selection of grilled seafood. Enjoy whilst you watch the stunning sunsets that seem to happen every single night. Uluwatu is home to some stunning luxury resorts, and luxury resorts are home to amazing spa’s. 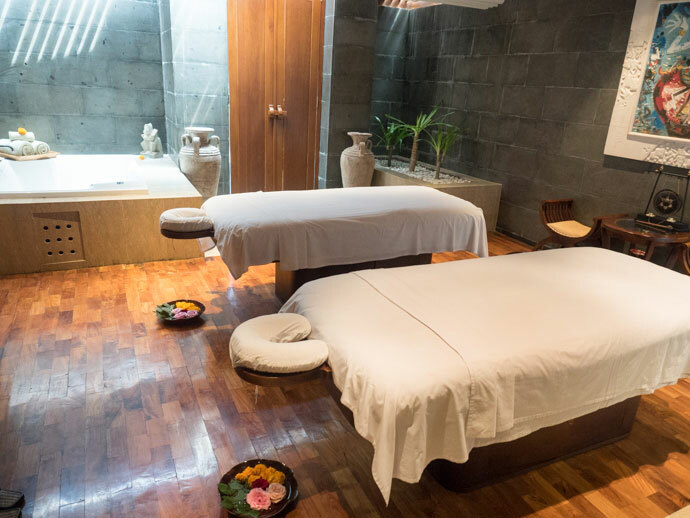 So if you want to spend a couple of hours or the day relaxing, visit one of the many luxury spas in Uluwatu. We had a massage at Anantara Spa and it was amazing. And of course, in Bali, there are always more affordable massage places around too. 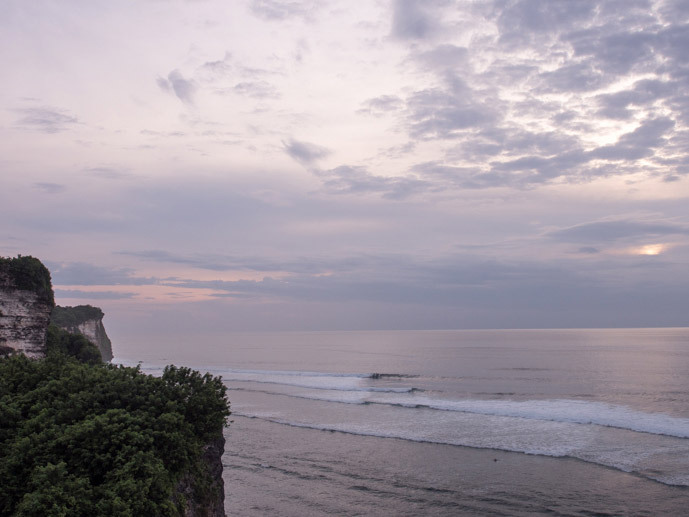 So that was our favourite things to do in Uluwatu, what are yours?